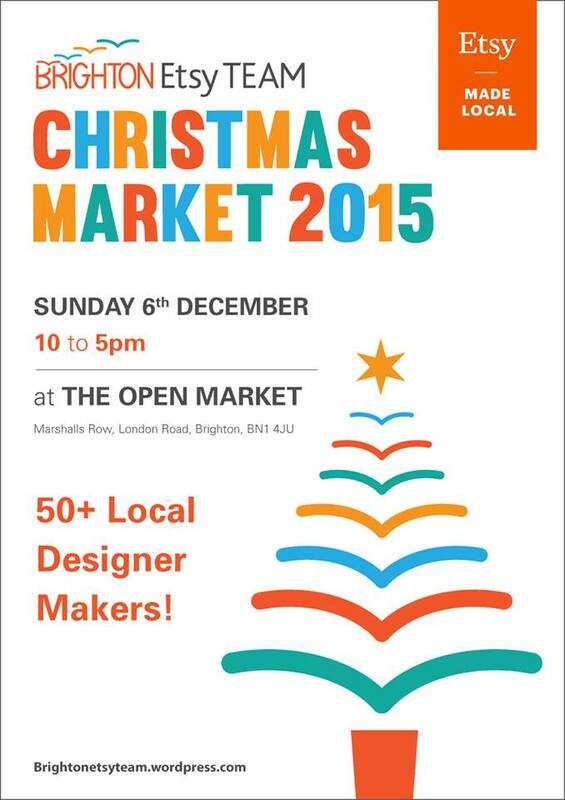 Christmas Market – Makers announced! We’re excited to announce our members who will be selling with us on December 6th 2015. A selection of over 60 team members will be bringing items from their online shops to The Open Market for a special day of festive fun. There will be a wide variety of handmade and vintage items available; from prints, greetings cards and home furnishings, to jewellery, accessories and one-off unique finds. The market will be the perfect opportunity to begin your Christmas shopping away from the high street, and to also meet the makers behind the gifts you buy. Previous Post Brighton Etsy + Bloggers at Lick Warehouse = THIS! Next Post Claire Potter Talks Eco Design – Talk Round Up!